Kid Rock is a multi-platinum award-winning American rock ‘n roll icon whose musical style ranges from hip hop and rock to heavy metal and country and has sold over 26 million albums around the world. Following the release of his latest studio album First Kiss, Kid Rock embarked on his $20 First Kiss: Cheap Date summer tour that sold over 650,000 tickets over 40 shows including the record breaking 10 sold out nights in his hometown of Detroit. The tour, which followed the model of his 2013 tour, broke all the rules by giving back to fans and making the concert experience more affordable with $20 tickets, lower fees and deals on everything from concessions to merchandise. The fans rewarded him with a huge turnout and Rock sold more tickets in amphitheaters in the US than any other act in 2015. The multi-instrumentalist has made hits across genres, from rap and rock in the ‘90s with singles “Bawitdaba” and “Cowboy,” to country with “Picture,” a collaboration with Sheryl Crow that charted No. 4 on the Hot 100. Rock’s 2007 album featuring the song “All Summer Long,” charted at No. 1 in eight countries across Europe and Australia. Rock has consistently released albums since 1990, many of them going platinum and multi-platinum with spots in the Top 10. Kid Rock is also a passionate supporter of those who serve in the US Armed Forces and a vocal advocate for his hometown of Detroit. 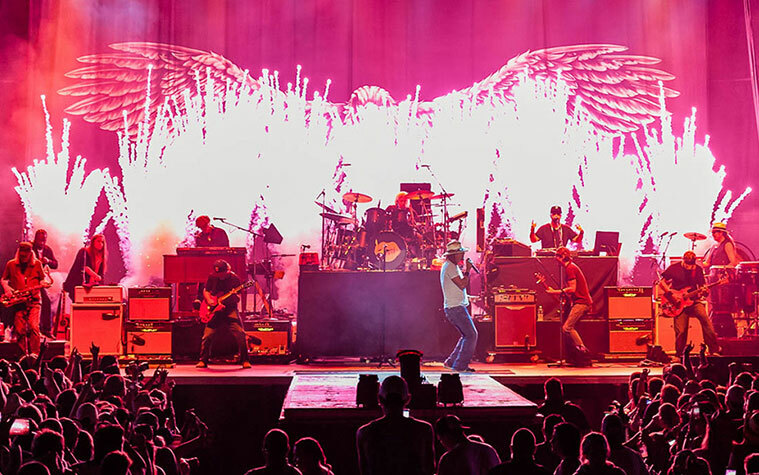 Kid Rock and Ted Nugent are coming for another raucous night of hard rock at the 2018 Great Jones County Fair! Miss this show and you'll miss the party on Saturday July 21 at the 2018 Great Jones County Fair!